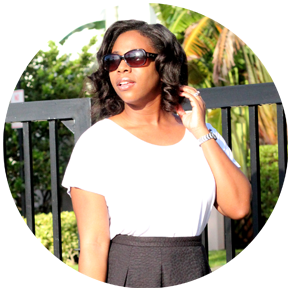 Last week this time, I was an attendee of the Style Bloggers of Color (SBOC) 2013 Conference which took place here in Miami. My day 1 outfit was pretty simple - I wore a screened tee I got from Marshall's, my favorite Forever 21 skirt, a vintage Gap denim jacket, and my green heels from target. My bag was from a local store called Steps, and it fit ev-er-y-thing from my wallet and notebook to my camera with all three lenses. Perfect! I didn't take many photos on the first day, but I did snap one of Natalie Live of The Tiny Closet during her photography workshop. She's just the sweetest little thing! Day 2 was packed with great panels which were informative and hilarious! The first panel was "Content 411", all about enhancing blog material and keeping readers engaged, featuring Ty Alexander of Gorgeous in Grey, Kimberly Walker of KimmyGotSoul, Cortnie Elizabeth of StyleLust Pages, and Jillian Martin of NuSphisticate. The second panel was "Social Media Butterfly" about how to use social media as tools for connecting with readers, networking, and making blog content accessible on multiple platforms featuring Blake Von D of Blake Von D, Shayla Drake of All Things Slim, Charles Wade of Tuff Magazine (such a comedian! ), Inez of Style Chic 360, and Nife Oluwole of Skinny Hipster. The third panel was "Multimedia Blogging" with Kéla Walker of Kéla's Kloset, Nicole Garner of The Garner Circle (a PR Powerhouse! 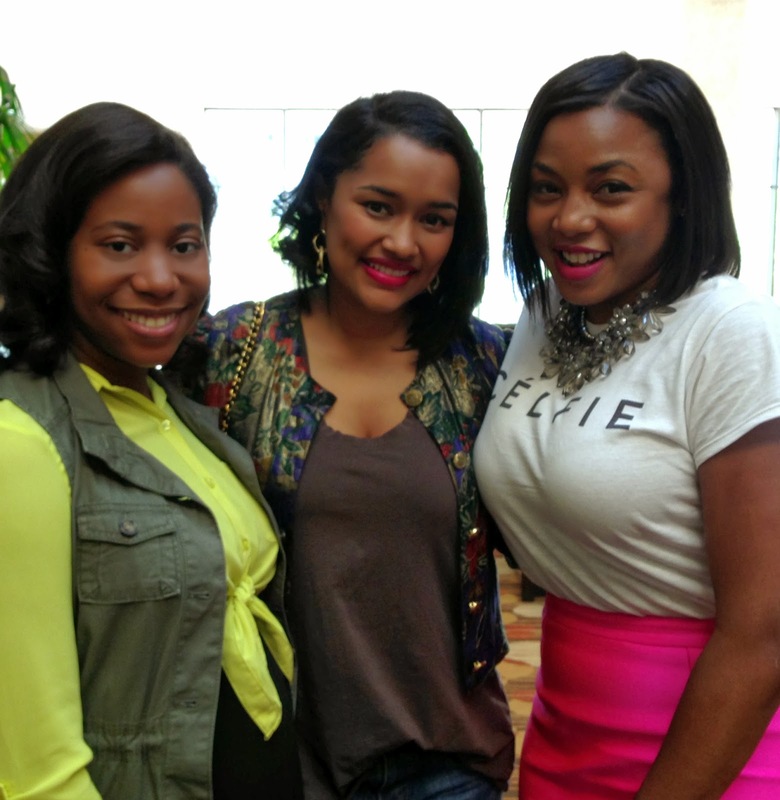 ), and Janel Martinez of Black Enterprise. The fourth panel, "You Dot Com", stressed maintaining individuality while blogging. I'm a firm believer in delivering content that is honest and true to the purpose of the blog, so this session was a great reminder that being me around here is perfectly OK! Panelists were Leslie Young of Fashion du Jour, Ria Michelle of Ria Michelle, Martha Dominguez of Princess Martha, Ariel Burke of Fashion Devotee, and Chanel of Chanel Files. Mattie James of Mattieologie and the SBOC Conference Director lead the fifth session on "The Business of Blogging" (sorry, no photos!) and closed out the conference. I learned a lot and met so many lovely ladies and dynamic style influencers! This was my day 2 outfit - My shirt and dress are Forever 21, my vest is Old Navy, and my Zara lookalike heels are JustFab. My handy Steps bag did so well on day 1 that I brought it along for the ride again on day 2. I was glad to have styled some of my regular pieces that still fit even at nearly eight months pregnant. As I mentioned in my last post, maternity clothes are expensive! So I've been getting creative with putting together outfits from items I already have that still fit. Here, I'm pictured with the lovely Leslie, and "kutie" Kéla It was such a pleasure to have met them and so many other inspiring and stylish ladies! Looks like you had fun!!! Love how you put both outfits together! Both looks are cute specially the baby bump! I need one of those lol weird I know. I've been experiencing some minor baby fever. Glad you're back! Love the polka dot skirt. Hey lady. It was a pleasure meeting you at the SBOC2013 conference hun. I hope all is well with the mommy to be. Peace & Blessings.